All that I know about the Ommegang Brewery is that they are from the same town as the Baseball Hall of Fame and they make some great beers inspired by the TV show, Game of Thrones. I have never seen the show but the beers are exceptional, for sure. So this beer appealed to me because it is the first beer from the company that I have come across that wasn’t from the GOT and it has a great label. I won’t lie, labels appeal to me and sometimes cause me to buy a beer. I love garden gnomes, so a gnome being cheeky always makes me happy . This beer could not be any better. 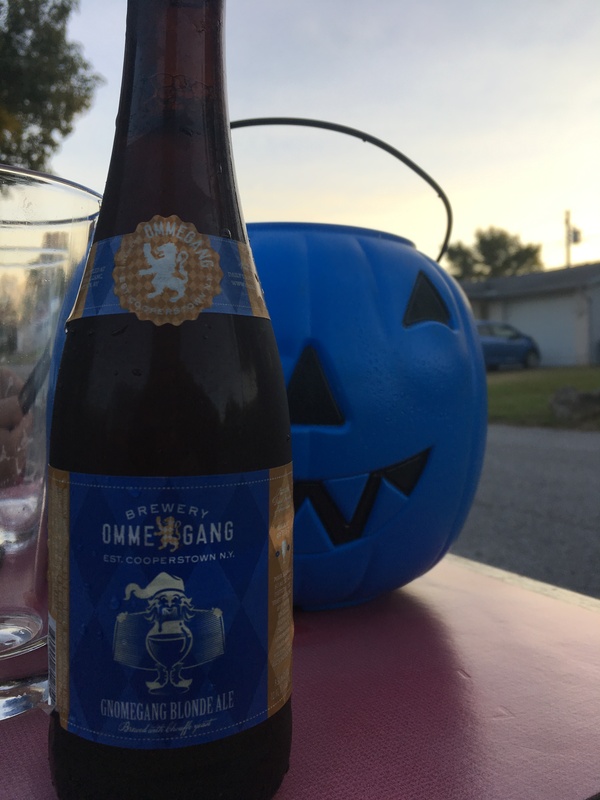 I was drinking it on Halloween night while handing out candy and two parents asked me if I would share. Of course, I said “No” to that request. I am a nice guy and all but I don’t like to share my beers. The beer could not be any more delicious. I find the Belgian blonde ales to be some of my favorites. This beer does not disappoint. The brewery partnered up with co farmstead brewery, Brasserie d’Achouffe. It is created from five top of the line malts and two noble hops combined with the distinctive yeasts from both Chouffe and Ommegang. It goes down smooth. It has a fruity aroma and flavor and will leave you warm and fuzzy when you are done. Previous Eat UP: Soup’s On!